A.E. Staley – A big man with big ideas. The classic “American Dream” story has many variations but the essential element is a dreamer armed with meager assets and a great willingness for hard work and the perseverance to see the dream to its end. Sometimes the dreams are on a small scale and other times they take on dimensions worthy to be called an empire. The story of A.E. Staley and the Staley Manufacturing Company would most definitely qualify as one of the latter. A.E. Staley (Gene) was born on February 25, 1867 on the family farm in Julian, North Carolina. His parents William and Mary Jane Staley were farmers, their crops ranging from tobacco, corn and cotton. Theirs was not a sprawling southern plantation but rather a modest family endeavor where all hands were needed. Childhood was a short lived luxury on a family farm and Gene was engaged in farm chores from a very early age. Gene once said that he was lucky to get two months of schooling a year. The rest of the time he spent shucking corn, picking cotton, destroying tobacco worms, and the hundreds of other tasks required on the farm. 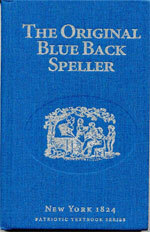 His mother attempted to further his education at home using the Webster’s Blue Back Speller — the only textbook Gene would ever use. 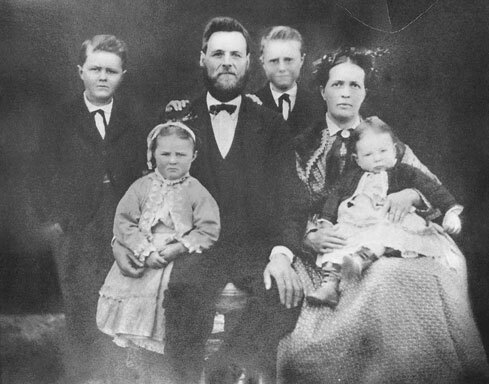 His father had hopes that Gene would become a minister and if not the ministry, that he would continue on the family farm. However, Gene had dreams of his own and from a very early age announced to his parents his intentions to go into business: “I’m goin’ to be a businessman!” Gene proclaimed. He began his forays into the world by taking the family truck, loaded with products from their farm to a nearby town to market. This was a joy to Gene Staley and was his introduction to the world of salesmanship. Several other opportunities came his way including working and being fired from a local hardware store, where the owner told him he would never make a good businessman and that he should concentrate his energies finding a job that would utilize his brute strength. Gene didn’t let this setback affect his dream. He began working for several companies, traveling the salesman circuit and carrying their products to the far reaches of the settled territories. His employers included two baking powder manufacturers and a flavor extract company. It was with one of the baking powder companies that his travels brought him first to Decatur, Illinois. Little did he know then what this city would come to mean to his business dreams later. 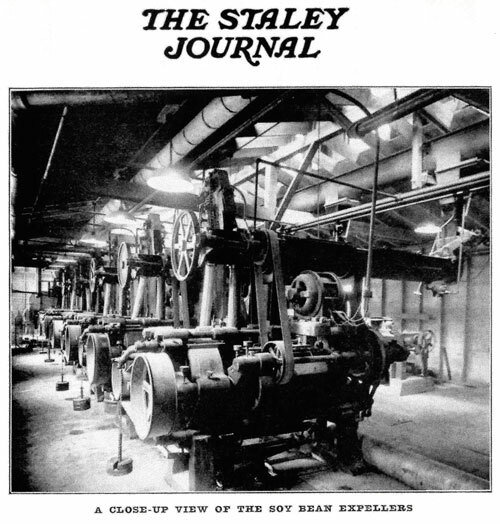 In 1897 Staley turned his attention to the starch business. He had noticed during his years as a salesman, that starch was an article that was ever on hand in the businesses he visited. With the conviction that starch would make for a good business, Gene began creating the foundation of what would later turn into the industrial success story of the A.E. Staley Mfg. Co. The early years of the business was centered in Baltimore, Maryland. Gene Staley had become so successful at packaging and selling his own brand of starch that he was becoming a thorn in the side of the big players in the starch business. Staley knew he was in danger of being cut-off by his suppliers and began the search for a plant where he could set up business and provide starch for himself. 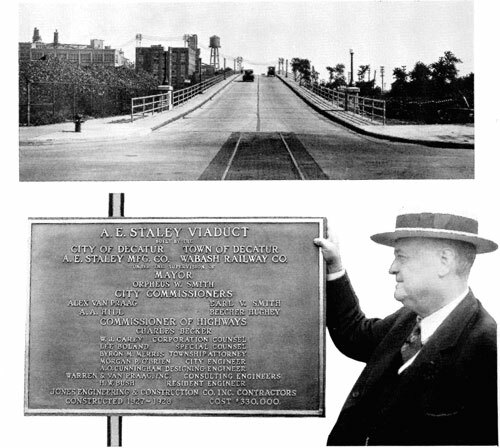 His search brought him back to Decatur, Illinois where he purchased a defunct starch making plant in 1909 and set to making the necessary repairs and improvements. 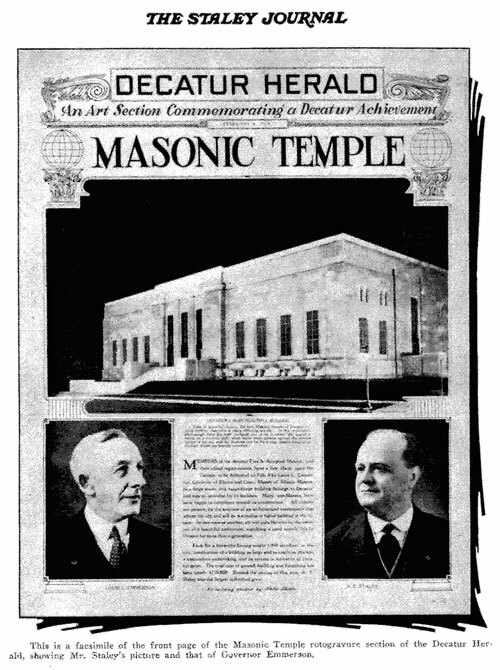 He opened the doors for business in 1912. 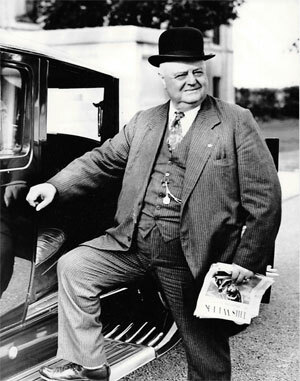 Staley said in an interview in the Decatur Herald and Review shortly before his death, “Big Men don’t do Small Things”. There can be no doubt that A.E. Staley considered himself a “Big Man” The footprints of A.E. Staley can be seen throughout the City of Decatur — landmarks that stand out today as emblematic and synonymous with the city as we know it today. 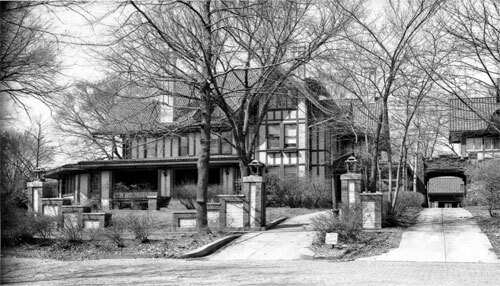 Staley purchased the family home on North College St in 1912. It was the home of his dreams and a message to the citizens of Decatur that he was here to stay. The Staley Pump house & Fellowship Club was created in 1919, followed up by the creation of Lake Decatur in 1920-22. Picture of new soy bean processing plant. 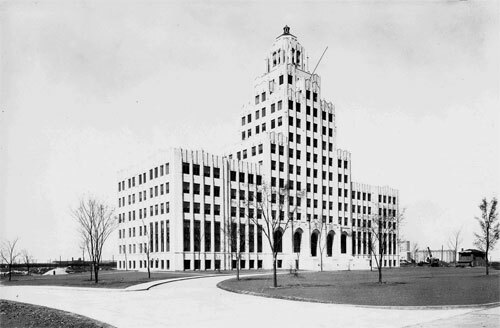 Plant opened and began processing soy beans on September 30, 1922.